The 2017 Hollywood Fringe Fest has come to an end (except for a few extensions). Here we wrap up our Fringe schedule with 13 more shows. Until next year Fringe…we’ll miss you! Russell: Intimate, charming and completely engaging, this is a solid add to the number of magic shows at the Fringe this year. This show is unique due to Jonathan Sky’s use of music. Wisely choosing jazz selections – and playing trumpet himself a few times – to enhance the mood of mystery, it elevates what might have been a simple magic act into a truly endearing hour of fun. With disarming sincerity, Sywulka fits in some clever variations on traditional style magic. I was consistently surprised by the endings of his various routines because he never seemed to go with the predictable. Each of his stories lends a twist to the material. This is most charming when he uses the most traditional of magic props to produce… well, let’s just say he is assisted by a cute friend for one of the more enchanting sequences. The routines here are smile-inducing and heart-warming, well worth checking out! This show is a valid argument for Fringe to make “Magic” its own category. This seems to be lumped in with cabaret and variety listings but it’s more versatile than that. Russell: Intense and weirdly endearing while also veering into outright creepy territory, going on this date will definitely leave you affected. Actress Lauren Flans is like a locomotive going too fast around a dangerous curve – powerful and you never know when all that forward movement might completely derail. This show is incredibly intimate. The premise is simple – you go on a first date with someone you met online – her name is Emma. That date IS the show. One-on-one in a way I have never quite experienced before, Emma and I talked for almost 90 minutes about past relationships, our faults… and of where we might end up. Immersive theater has never felt more real for me, that is a credit to the actress. Also, clever use of improvisation to get from story-point to story-point was seamless. This is an incredible performance. At first, I found myself wondering if there was going to be an overall theme, it seemed Emma was so scattered in her thoughts it almost seemed impossible. However, for me, the ending of the show emphasized the thought that we are the captains of our own ships on the sea of life… if we run aground and crash, it’s probably our own fault. Not the most uplifting of takeaways from a date… but getting there was worth the trip! Russell: A loving musical parody of every 1980’s style “slasher” movie ever made, “Slashed!” wins the audience over with clever embrace of clichés and the wit to poke fun while never insulting the genre that launched a thousand machete wielding maniacs. With a brief running time of 45 minutes, this is begging to be expanded! Complete fun from start to finish, with songs you will leave humming, this love letter to (primarily) Friday the 13th will warm the freshly cut out and still beating heart of any horror nerd. As I mentioned, the songs are up for the challenge of parodying something already borderline silly. The costumes are perfect, except for one oddball case. I wish the Killer would have had a more distinct look or personality. His generic costume is certainly fine, but it feels like a missed opportunity, as well! I sincerely hope this show finds a home after Fringe… this is a show that could warm the hearts of horror fans for years to come!!! 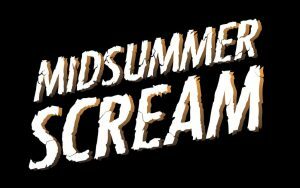 Editor’s Note: “Slashed” will be performed at the upcoming Midsummer Scream at the Long Beach Convention Center on July 29 and 30. Mike: We live in a world where we think we make our own choices. “Illusion of Choice: A Magical Experience with Kardenni” shows us just how easily we can be manipulated into subconsciously having our choices already be made for us. This show was so much fun. Not only do you have the charismatic Kardenni, but you also have his “assistant”, The Bunny. She brings such charm to this show with her dancing, audience interaction, and the things she does while Kardenni isn’t aware. Kardenni performs many illusions that all have to do with choices. Even though the audience chooses something of their own free will, Kardenni is already 2 steps ahead of them with their choice. You’ll see a spin on classic illusions that will leave you laughing, smiling, and full of wonder. Russell: Providing a mixture of some magic with meandering thoughts on the choices we make to create our lives, Kardenni has created a show more about ideas than magic. Using interludes featuring Bunny, The Multidimensional Being (portrayed by Lindsi Jeter), the show switches multiple times between a fantasy realm where a mystical being manipulates Kardenni and his surroundings to the show we, the audience, are witnessing Kardenni perform in the present. It’s a balance that is sometimes fun, sometimes very clunky. Kardenni is a charming presence with obvious keen improvisation skills. His interaction with the audience is always engaging. The show is described as “a magical experience,” but when you examine what is performed there is actually very little magic… but there is a healthy dose of interesting philosophy on display among the choices of envelopes or cards or which hand something is hidden in. Each subtle trick he performs is tied to some sort of conundrum discussed with the audience. Drastic life choices to be made? Let’s ask the spirits what they think… except the answer does not seem to carry much weight since it is not discussed at all. I made the mistake of assuming this was going to be a magic show, but Kardenni obviously has bigger things on his mind. It took me a little while to shift gears between my expectations and what was actually going on. He is definitely a strong presence on stage and he does have some fascinating stuff to explore. Personally, I simply found the overall show perplexing in fun ways, but not extremely magical. Russell: A show comprised of two dark-comedy one-acts, this was certainly a fun time and will particularly please fans of the horror genre since both shows flirt with horror tinged scenarios. “The Callback” hinges on the presence of Molly, played by Kelly Ohanian, a passionately upbeat actress wannabe who reaches a breaking point after being informed of not receiving a callback for a part she desperately wants. Providing a creepily upbeat, perky attitude at first, the performance slowly reveals a violent undertone while never losing the edge which makes the play disconcerting to watch. It also emphasizes an overall theme of how far someone would be willing to delude themselves in order to keep a dream intact – no matter how fragile it may make them. The conversation between her and her “captive” audience of one – the casting agent she kidnapped to convince him to give her another chance, played by Joey Rich – unravels quickly with each person not understanding the other’s position. In the end, there is a surprising message delivered that judging a book by its cover is a sure way to miss out on something good in life. It’s a message that lands thanks to the fine performance of both actors. “Slaughterhouse” is a nightmare sitcom scenario played with energy and fun by the entire cast. When a man accepts an apartment with three strangers, it is quickly revealed this house is a special sort of bachelor pad – one inhabited by rather active serial killers. The various personalities – religious do-gooder who murders for all the right reasons, the foreigner exploiting the freedoms (and free will) of America, and the dependable guy who kills, you know, cause it’s fun, all get their comic moments in and there are plenty, for sure. This all plays out with a gentle wink to the audience of how silly the proceedings are. The relationship between the couple new to the mix is sincere and grounds the sitcom scenario with relatability. This is silly fun served up with energy. One tiny quibble… a costume choice on one character did tip me off to a plot twist in the making which I thought would have been fairly easy to avoid, but I still had fun and laughed a lot as the situation unfolded. Overall, these two one-acts pair nicely together to provide an hour of dark-comedy fun worth checking out. Mike: A Harmony Boys Christmas is a fantastic parody of the Christmas specials of the 50’s and 60’s. These four crooners, that have an amazing discography of albums, are doing a live benefit show for the charity “Force Feed the World”. The live band that accompanies the Boys on stage was great and really adds to the feeling of this being a televised special. The songs and dances that they do are hilarious and sing about things that were so apparent back then…things like racism and homophobia. Those subjects can be a touchy subject matter, but they did a great job at making us realize how ignorantly funny they were back then. I really hope this reappears during Christmas in LA. I’d love to go see this again. It’s great for some Holiday cheer! Russell: A hysterically funny send up of traditional feel-good Christmas specials many of us grew up watching each year on television, Mike is right – it’s funny and frightening to compare past attitudes with society today. This live concert unravels into a skewering of family values held dear in 1962, but upon reflection may not have been so wonderful. A strong cast of voices delivers original tunes that brought down the house with innuendo and cliché, perfectly undone by choreography that seems innocent but manages to undermine the wholesome image we are watching. As the singing group with a questionable track record, Aaron Matijasic, Gabriel Oliva, Al Rahn and Michael Hoy are perfect. The entire supporting cast is equally strong, hitting the difficult balance of sincerity and parody. The completely politically incorrect (definitely aimed at an adult crowd!) attitudes on display demonstrate painfully just how for America has come… or hasn’t in some areas. There is plenty of laughter, just be warned some it comes from a very uncomfortable place and it drives home some very valid points. This show begs to be made a yearly tradition. I would welcome this during my holiday season over and over again. Russell: This is a warm-hearted affectionate tale of fans who go to Comic-Con and meet their idols… only to discover that each of them are stars in their own special way. WAIT. I know that sounds a little syrupy sweet. I know it sounds like this is some predictable trek through familiar universes, but Comic-Con The Musical is smart enough to know that by embracing the passion of “nerds” or “fanboys” or “fangirls” and build a show around them, you don’t need parody or ridicule, you need heart. It delivers enough of THAT to fill a black hole. The plot, concerning a group of fans who meet in line before the Con even starts, find themselves entering a story “pitch” contest to one of the sci-fi genre legends they have always admired. Along the way, a dastardly producer takes advantage of them, an alien reveals its true intentions for planet earth and life lessons are learned. You want love? You want unbridled affection for all the things that make you who you are? Well, that means you gotta embrace who you are and what turns you on… what excites you to the core. This is perfectly summed up by the trio of leads who join together to help one of them define himself with an origin story that actually is his own origin, the gal who realizes she cannot fulfill her own dreams by embellishing someone else’s, and the creative type who knows he has to create… but is unsure how to find where his ideas belong in the world. Along the way, the songs are brisk and clever, the characters ring true to anyone who has ever tried to define themselves as an individual within a community. Overall, there are a few things that could be improved and the creators state in the program this is a work-in-progress. Mainly, the alien character could have been stronger, which would have made the final pay-off of that character more impactful. One character could have met with a more deserving comeuppance, perhaps, but this show is so full of heart, these become minor suggestions. Comic-Con The Musical is a galaxy of fun and will leave you happy and smiling. Now go out and discover your own super-power! Russell: A man shoots innocent people in a public space – it is a frightening relatable scenario. Several victims gather at a police station, wondering which of their friends survived the attack and which did not. The tension between these characters increases when the mother of one young man shows up to add some very unexpected perspective on the crime’s origins. The ensemble cast here is perfection. This piece focuses mainly on the dilemma of Rafi (Dylan Arnold), barely coming to terms with a new-found side of himself as he ends one relationship to explore something new. In confusion, he finds himself unable to fully commit to a new partner. The community of friends that comes forth to protect, challenge and embrace him – all in the name of love – is warm and wonderful and wins the audience over with their ability to demand respect for themselves while never putting down anyone else. This piece is a delicate balance of true, heartfelt affection and cliché. The situations and characters may seem familiar. We are familiar with the motherly overseer and the surprisingly callous officer (both portrayed by Karen White), the blunt best friend (T Verafield) of Rafi’s new boyfriend (Ethan Rains), the questioning guy who is afraid to follow his heart and afraid of what it has already cost him (also played by Ethan Rains), the sympathetic investigator and the dramatically sincere wiser-than—God friend of all (both played by Larry Poindexter). The types may seem familiar, but this cast never allows them to feel like clichés. The cast infuses such humanity and humor into each of these relationships, the entire community thrives with a love and energy that is admirable – may we all be so lucky to have such support in our daily lives. The piece is inspired by various aspects of playwright Katherine Cortez’s life growing up in Florida, this piece takes the PULSE nightclub shootings and uses that incident as a backdrop while exploring how years of social conditioning can affect all of us in unexpected ways. The writing is strong, particularly in the moments of family conflict that reveal hidden agendas and emotions that surprise the audience as it surprises the characters themselves. I am trying hard not to be spoiler-ific. When Rafi turns to his mother and sincerely asks, “What are you so afraid of?” he embodies the sorrow, confusion and anger we all feel knowing that there was no point to this tragedy… and there will be no point to the tragedies that will inevitably follow. Key to the success of this show is subtle sound design and lighting design. Location and time are often indicated by transitions that are smooth and never intrusive into the overall serious mood. Rogue Machine Theatre has produced a fine mood piece here and I want to see more work from this company. All elements come together nicely here. This show is sad, penetrating stuff. The final moments of horror leave the audience as grief-stricken as the characters on stage. This is rewarding, powerful theater. Mike: This was my first introduction to Marlowe and this story. I loved it. A story about someone selling their soul to the devil? I’m in! Couple that with the new twist of having the characters being played by punks (sneers and everything), it really made me enjoy just that much more. Hearing the dialog coming from them was a welcomed surprise. It’s tough to follow at times and am so impressed whenever people can memorize lines like this. This was so much fun to see as a newcomer to this style of writing. Russell: A horror-themed musical featuring some very fine vocal talent, this show had some moments of fun but was eventually brought down by an identity crisis. This show does not know what it wants to be or what story it wishes to tell. Mike: I saw a quite a few influences to this story, mainly Frankenhooker with a touch of Re-Animator, but something about it just didn’t…stick. I think it’s because the story seemed to focus on people that ultimately, didn’t really have a payoff to the story. Russell: Focusing, at first, on Sven, a professor with a dark secret of hidden experimentations involving body parts and unorthodox methods of gaining subjects, we first think the musical will tell the tale of his evil deeds. But…. no. Ruthie, his protégé and favorite student (and target of his hidden affections) steps into the spotlight and the musical focuses on her. She takes center stage, literally, to sing of her internal struggle. After that, we only see Sven directly deal with his criminal “lab work” once in the middle of the show — and then suddenly the focus shifts back to him in the final act. Mike: Yes, exactly! You have a professor killing and sawing off girls and we don’t get to see every kill to make his Monster? I wanted to see more of that part of the story. Russell: Ruthie has a life-changing decision to make – follow her dreams of being a scientist by nailing a presentation for a fellowship or going on the road with her up and coming rocker boyfriend. The boyfriend does not seem to hold her in high regard, dismissing her hopes and dreams and demanding she leave with him. It seems logical she should dump this guy. Add into the mix a goofy sense of choreography that seems to be going for a campy feel – but inspired some unintended laughter from the audience at points because of its incongruent feeling with serious songs being sung about the death of dreams and… well… just regular old death, as well. The mixture of tones didn’t enhance the piece, it seemed to confuse it. Mike: Another thing to mention, is that this was called “An Interactive Horror Show”. There was some interactiveness with the audience from a character or two, but to bill this show as interactive seems to be not the best thing to do. Russell: A touching comedy, “Emergency Operation” presents the premise that a broken heart can be fixed – medically. It is a fantasy we may all have entertained at some point, the wish that somebody could just remove emotional pain from our body rather than actually facing it and having to deal with heartbreak. The cast here plays for laughs, but in a completely sincere manner that reveals the problem with avoiding the potential end of a relationship – it’s a hassle to deal with the emotional fall-out. So if it were possible, is avoiding the pain a logical move? It’s an outrageous premise, but not played as a farce. Instead, the earnest cast plays it primarily straight. It’s a wise approach for this material because it’s heightens the realization that each one of these characters is flawed, but doing their best to make the best out of every day they have. Sometimes you fumble, sometimes you fall, but you grow as a result of life’s ups and downs. The pleasure of watching this show, for me, came from subtle moments when the actors found themselves caught in some very relatable situations. The relationships between friends, family, and lovers all ring true, even as the premise gets odder and odder. In the end, the show points toward the idea that it might be worth confronting pain and then getting back up to ask for more. The final moments of the show offer a bittersweet end, leaving the audience to wonder if some people will never have the strength to face the consequences of their own actions. Russell: In this one man show, Stephen Spiegel portrays John Wilkes Booth, the man who assassinated president Abraham Lincoln. He is a man that just wants the chance to plead his case. As the audience, we were treated to the stories of the many plans that went wrong for Booth and a few of his like-minded friends. Politics as discussed, but it never outweighs the humanity of one man who simply wants to take bold action to help his country. Indeed, through Spiegel, Booth is a sympathetic figure. We are all entitled to our political beliefs, he is a man who chose to act upon his even if it meant harming others. How do we deal with that today? This is a fascinating portrait of a man whose legacy is shadowed by judgment, ridicule and misinformation. Seeing him as a passionate man acting on passionate beliefs, adds a new dimension to what you think you know. Managing to bring a strong sense of humanity into what could easily have been a one-note show about villainy, Spiegel’s performance is an intense and engaging look into a complicated man’s heart. Russell: With less than a 30 minute running time, My Janis offers a glimpse into a very specific moment in 1966 when famous blues singer Janis Joplin faced a life-changing decision. Having already wrestled with the demons of drugs and alcohol, can she risk re-entering the music world with the temptation of drugs and nonstop partying and manage to somehow come out alive? In this one woman show, Arianna Veranesi delivers a poetic, graceful look at Janis Joplin. It is a subtle show filled with simple human moments of emotion that reveal the weight of the decision ahead. the way she fumbles with a telephone cord, the way she fidgets restlessly when a room becomes too quiet… it all reveals a woman questioning her own strength. As the audience, knowing how the story ends simply adds to the sadness of the conversation unfolding. Yet, Veranesi manages to end the show not in sadness and pain but in a moment of reflection that offers only hope for the future. With a thought-provoking performance at its core, this glimpse into an artist’s soul is deeply moving.